Front of the Castle | Just Shooting Memories! 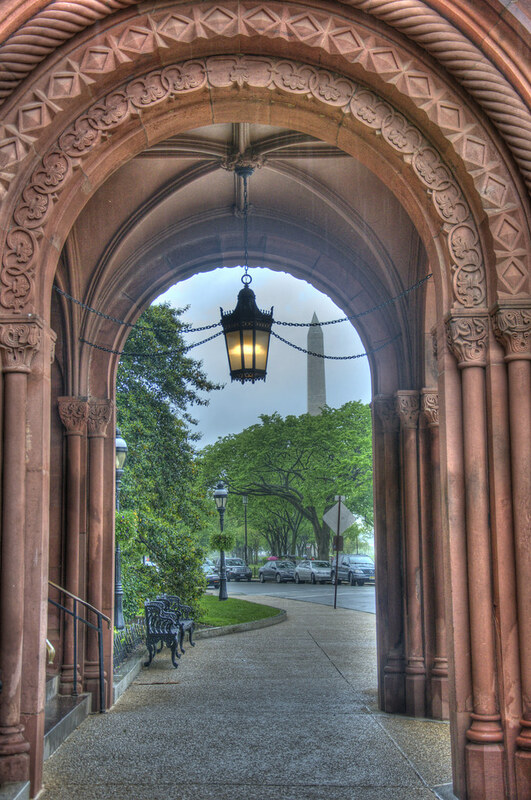 This photo is from the front of the “Castle”, the Smithsonian Administration building. I was in a mad dash for the flower gardens at the rear of the Castle when I came across this interesting view. It was rather frustrating waiting for all the people to walk by and get a clear shot. People were crazy. It was raining. Wait, I was out in it too. Oh well, made for some interesting shots.